Maurice Sendak’s Where the Wild Things Are (1963) is two months older than I am. Since it was not a book that was regularly read in Ireland in my youth, I did not come across it until I read it to my children. The story is a simple one: A naughty little boy, Max, in an animal suit—Sendak says it’s a wolf suit, though other erroneous speculations float around—is sent to his room without dinner. As his childish wrath begins to cool, Max closes his eyes—reflectively and not sleepily—and his room is transformed into a forest, a tree here and there at first, and then a shrub or two; two palm trees spring up (large ones though not fruiting), grass carpets the floor, vines dangle from the ceiling, and then the walls are gone: where once there was a bedroom, there is now “the world all around.” Already Max is cheered; he steps into this forest. He boards a boat, a private one also named Max, and the little boy sails away. At journey’s end, he reaches “the place where the wild things are.” He’s appointed king—this is accomplished by means of the mildest hypnosis; the wild things and wild Max rumpus. And that rumpus is excellent. Six out of 34 pages of the book are devoted to rumpusing; or to express it differently, Where the Wild Things Are is almost 18 percent rumpus. Fatigued, and no doubt hungry, Max’s thoughts then turn, not to home exactly, but to where “someone loved him best of all.” In their grief at the loss of their king, the wild things tell him that he is indeed loved, though admittedly they also threaten him with consumption. Max then reverses his journey, standing stiffly and with eyes closed at the prow of his ship. Dinner awaits him upon his return. All in all, Sendak tells the story in relatively few words: 338 to be precise. To illustrate how spare this is, this paragraph is also 338 words. Max’s imaginative journey to where the wild things are is an encounter with the idea of wilderness, and not wilderness as a physical place. This idea of the wild is part of Max’s mental constitution: it’s undeniably real since our imagination is real, however intangible it may seem. Yet in his reverie, Max imagines being transported somewhere, for this is the classic trope of wilderness thinking: wilderness is where we are not. For all their initially frightening aspects, the wild things dwell in a place that is not altogether intimidating. Max, himself a wolf, rapidly quells the wild things. His is a dream of mastery over the wild, and the consequence of his trip is self-mastery over his inner tumult. The angry kid gets a grip on himself. When Max returns to self-presence, aware once again of being in his bedroom, he is ready for civilization. His appetite for the wild assuaged—and no longer threatening to eat the dog with a fork, and no longer claiming that he will eat his mother—he ingests a less exotic meal, one prepared for him by his mother. The use of the idea of wilderness in Where the Wild Things Are is quite a simple one: it provides Max with a psychological salve for what ails him. For all its simplicity, this idea of wilderness nonetheless has some important components: It underscores an element of distance from both ordinary things and from the human community—wilderness can be solitary. It posits the rambunctiousness of diverse wild things and provides a realization that one cannot dwell forever in the wild. In this notion of wilderness, there is a heightened reminder that after our fill of wilderness, one can, or perhaps even should, return, replenished, to the comforts of home. Where the Wild Things Are illustrates how children’s stories in general might reinvigorate the idea of wilderness, an idea now regarded as suspicious in many environmental circles. In fairness, we might have chosen any number of stories for the task, for it’s a rare children’s book that does not have a wilderness interlude. But Where the Wild Things Are is exemplary in a number of ways. Of course, each story is not every story, and Sendak has a very particular tale to tell—and yet for all the specificity of the story, it plays, as we have seen, with some fairly universal themes. The overarching thought is an old one: a human engages with wild things and in so doing comes into accord with the world and gains a measure of self-mastery. There is, besides, a universal legibility in Sendak’s landscapes that tap into something biologically fundamental and evolutionarily ancient within us. Thus when a parent and child snuggle up to read Where the Wild Things Are, reading the words aloud and perusing the illustrations, they replicate, in an idiosyncratic contemporary way, an activity that may be as old as the species. Parent and child cogitate, just as the ancients did, upon the idea of wilderness and the wild. Where the Wild Things Are is best read aloud, and like all stories of this sort, it smuggles into today’s culture a once widespread practice that has now become somewhat rare, namely, oral storytelling. New lines of evidence point to the very deep antiquity of myth-making and oral storytelling. A recent approach to the study of individual myths reveals not only how myths spread around the world, but also how many can be traced back to deep prehistory. For example, by comparing widespread versions of the “cosmic hunt” story—where the stars and constellations are imagined as hunters, their dogs, and the game animals that they pursue and kill—anthropologist Julien d’Huy traces this story back to its Paleolithic origin: “A man pursues a deer, and the animal is alive when it turns into the whole Dipper.” In contemplating this today, we hear the echo of ancient human voices raised under remote and gleaming night skies. Children’s stories inherit the spirit of antique storytelling not simply in the communal task they perform—bringing a family together at bedtime, as long before a shaman led acolytes into the cave, or families in elder times gathered about the fire. But they also inherit a set of themes: the life of animals, of course, the necessity of encountering wild things in ways that might not always be safe, and the hope of living to tell the tale. 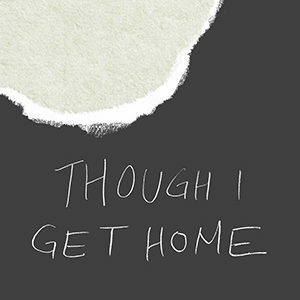 Children’s writers are not typically in the business of directly and critically reflecting on conceptual material, though the best ones do so obliquely and devastatingly. Children’s stories are important because in them we get a simple and powerful ratification of the idea that wild nature nourishes us, even though it may be occasionally terrifying; we get an acknowledgment that a child’s healthy development requires skills in recognizing both the hominess and uncanniness of the world. Children’s stories, besides, grapple with the existential task of distinguishing the self from others. In children’s stories, there is appreciation that attaining great goals may require overcoming thorny obstacles (sometimes literally thorny obstacles), and a recognition that our aesthetic appetites can be educated: there is beauty in the world even in places that seem inimical to our health. Children’s stories affirm not only that the places of wilderness are important—even wilderness’s most ardent critics acknowledge this—but that the very idea of wilderness is actually indispensable. Themes of wilderness in children’s stories are not written in response to contemporary debates about wilderness philosophy. How could they be, since storytelling is antecedent to these debates? Stories old and new confirm that for the human being, there is always a self and a non-self, a hearth and a wider world, the soothing and the fearsome. The idea of wilderness in children’s stories articulates, and at the same time amplifies, the vertiginous aspects of the wider world, but, as often as not, these stories provide succor in navigating the terrors of the terra incognito that surrounds the child. Yes, you, too, must leave the fireside, as humans have always done; you, too, must make your way in the world like the Puss in Boots that you are; you must overcome obstacles, encounter fresh wonders, fail, pick yourself up, and maybe even fail again. But you will be rewarded by the beauty of the world as you encounter it, by the love you find along your way, and, yes, by the baubles of success, fleeting though those trinkets may be. Though nature will claim you in the end, and your atoms will be scattered beneath the soil and into the winds, if you’ve attended well to life’s necessary tasks, you will know what it is to have been wild, and you will know what it is to have been free, if only for a few moments. 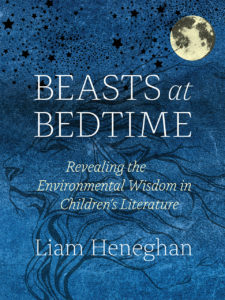 From Beasts at Bedtime: Revealing the Environmental Wisdom in Children’s Literature. Used with permission of University of Chicago Press. Copyright © 2018 by Liam Heneghan. Liam Heneghan is professor of environmental science and studies at DePaul University. He is a Dubliner, an occasional poet, and a father of two grown children to whom he read every night of their early years.